If you need a computer about the size of a credit card, look no further. The CHIP is a $9 single-board computer that runs Linux and can do just about anything you want it to… including play Quake. The board includes Wi-Fi and Bluetooth as well as optional ports for VGA and HDMI monitors. On board you’ll find a 1GHz processor, 512 RAM, and 4GB of storage. 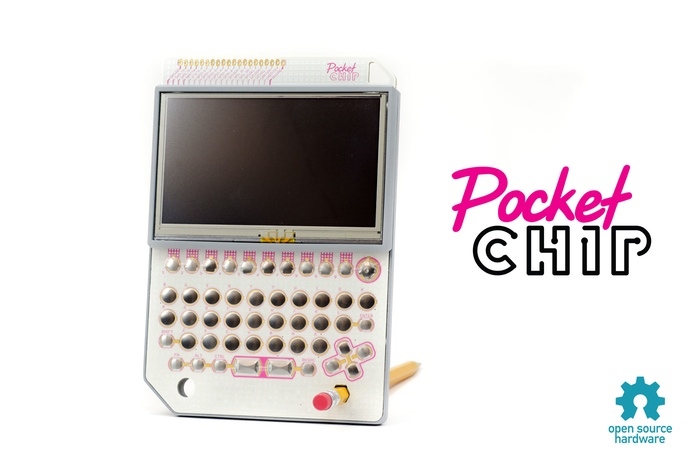 You can install a light version of Debian and you can even plug it into something called the PocketCHIP that adds a touchscreen and keyboard to the mix in a package about as big as the original Game Boy. Why do you need this thing? Well, first off it’s pretty cool. A $9 computer – $19 with the VGA adapter and $24 with the HDMI adapter – is a wonderful feat. Like the Raspberry Pi, the medium is the message. Now that we have the ability to buy a tiny computer, we will all discover places we can use it. Furthermore, the creators have added the handheld device as a sort of spur to innovation. If you can carry the little guy around with you and play games with it or use it as a mini computer, the hacker mentality make take hold and you may wish to expand the platform. The CHIP has already blown past its $50,000 goal and is now at about $200,000. They expect to ship in one year and they’re a Haxlr8r company so they have some solid manufacturing support. While you could obviously just pick up a Raspberry Pi 2 and rock out with that, this little guy seems like the perfect solution for folks experimenting with wearables and micro devices, an area of interest that is sure to grow over the next few years. Regardless, it’s a surprisingly tantalizing little computer and it will be great to see what hobbyists can do with.